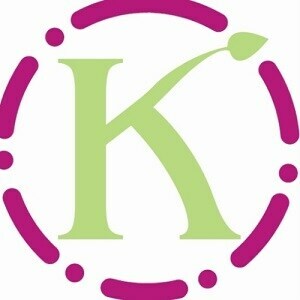 You are assured personal, polite and prompt service when trusting your floral needs to KAY'S Petals & Plants. My name is Tracy Kingston and I am the owner of this second generation flower shop that my mother Kay Stanton began in 1976. I have worked here since day one and now my staff and I carry on the tradition of fabulous flowers and superior service that have always been the focus of KAY'S. You can be assured that your gift of flowers will be delivered promptly to Corunna, Sarnia and the surrounding communities. Christmas Day, Boxing Day (Dec. 26). For same day delivery orders must reach us by 12:00 p.m.
Fruit Basket orders 24 hours notice is needed. For specific flowers or items order 1-2 days before delivery date. Our commitment to you is 100% satisfaction on all your floral and gift purchases. If you are not completely satisfied, let us know by calling (519)862-2333. Our shop serves the following areas: Corunna, Sarnia, Brights Grove, Camlachie, Petrolia, Wyoming, Port Lambton, Sombra, Mooretown, Courtright, Wilkesport and Brigden. We always carry a large selection of fresh flowers that arrive daily. Our professional designers create traditional, contemporary, high-style, and European styled arrangements. Unique, personalized Funeral designs are our specialty. A minimum delivery fee of $7.95 will be added to each order, for each address. Delivery fee will be adjusted according to delivery address. We do our best to accommodate deliveries at specific times, but we cannot guarantee it. An additional fee may be required above our regular delivery fees for expidited service. We need the complete name, address and phone number of the recipient for delivery. We are only able to accept international orders by phone.